If you’re flying business class for the first time it can be exciting but also a little bit daunting, since you’re suddenly experiencing a whole new world of complimentary champagne, plush lounges, lie-flat seats, fine dining and VIP service. You might find yourself thinking, “If I’m being treated like a VIP do I need to dress like one?” but the truth is, anything goes when it comes choosing what to wear in business class. What’s the dress code in business class? Years ago the dress code for business class flights was much more strict, but these days there are few rules. Dress codes will vary amongst airlines but the general consensus is no offensive slogans and nothing that would break any indecency laws, so you might want to leave your see-through tops and hot pants at home! When it comes to footwear can wear pretty much anything as long as you’re not going barefoot. If you’ve forked out on a business class ticket then you’ll be treated like a VIP no matter what, but if you’re unsure then opt for ‘business casual’. Bear in mind though that you’ll want to be comfortable so you can get a good rest, particularly on overnight flights. Men often wear jeans or loose slacks with a casual shirt or long-sleeved top. For women a suggested outfit might be leggings paired with a long top and cardigan, finished off with a stylish pashmina and ballet flats. If you’re still unsure, here’s a great thread full of people discussing what to wear in business class. If you’re flying with Qatar Airways they’ll give you business class sleeper suits to wear, so you can change in the bathrooms and get comfy during your flight. Meanwhile Finnair provide Marimekko-designed slippers so you can take your shoes off and feel more at home. Remember that planes can get rather cold anyway with all that air conditioning, so you might want to wear a sweater, cardigan or long-sleeved top. The beauty of flying business class is that you’ll be supplied with an amenity kit containing socks, as well as a nice thick blanket to keep you warm. That makes things a bit easier since you don’t have to worry about packing those things in your carry on. So I don’t need to look like a celebrity? In short, no. You’ll actually see very few people dressing up in heels and oversized sunglasses. It’s a flight after all, so the priority is feeling comfortable. There’s no point going on a long-haul flight in a suit – it will just get creased. Having said that you never know who you’ll meet on a business class flight, so you might want to keep things casual but neat and presentable. If you want to fly business class you you don’t need to have a VIP budget either. 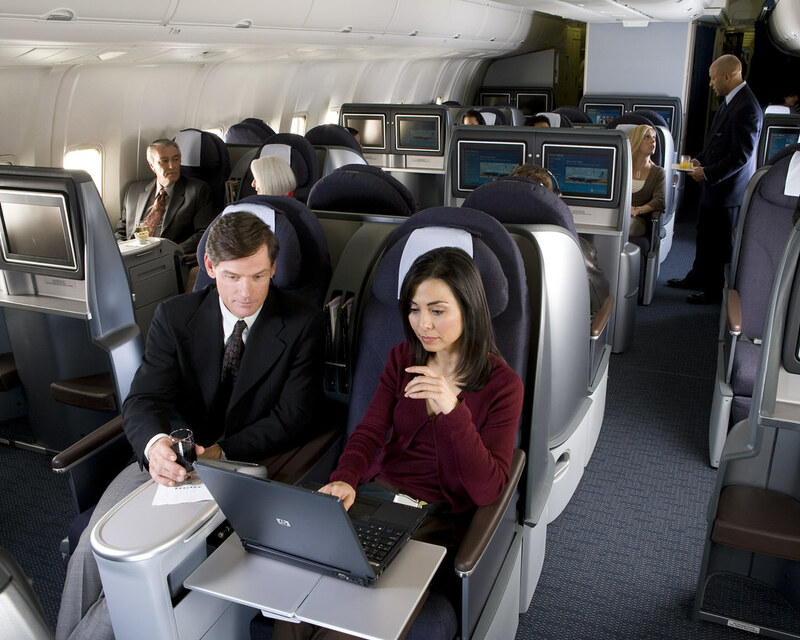 Business travel agents like SkyClub offer discounted fares that are cheaper than booking online and will save you a fortune on your next business class trip.